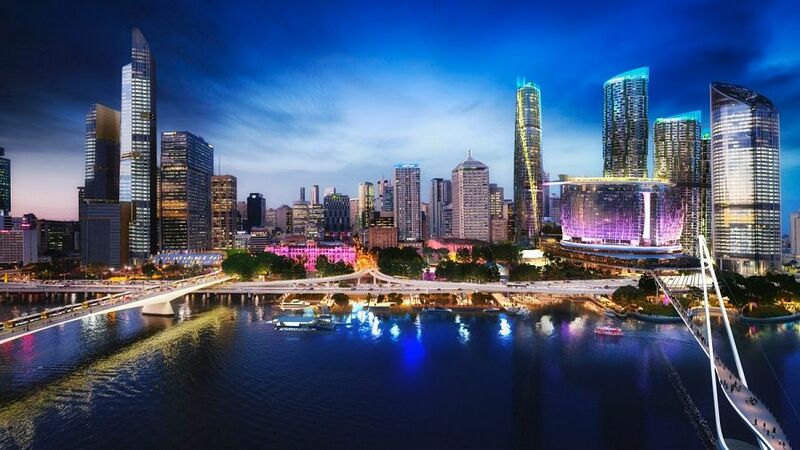 Which projects will make the biggest difference to Brisbane’s market? From the airport’s much anticipated second runway to the $3 billion Queen’s Wharf development, which major projects will make the most difference to the Brisbane market? And what about projects that are in the “pipeline”? Should you bet any money on them ever coming out of the ground? Right Property Group buyers’ agent Victor Kumar believes the promise of future infrastructure should never be a part of a buyer’s decision. Instead, he says buyers should only consider existing infrastructure or major projects that are already underway, citing the $5.4 billion Cross River Rail as a perfect example. “The thing that Queensland has done right is its road infrastructure, which is well planned and ahead of the population needs,” he said. He said the Queen’s Wharf project would put Brisbane “on the map” and would be complemented by the second runway at Brisbane Airport. The $944 million Brisbane Metro would also prove beneficial to the city’s southern suburbs and inner north, Kumar said. “All of these are timely as the population is increasing rapidly in Brisbane, and the infrastructure change will certainly attract more migrants from interstate and internationally,” he said. It’s also the major tourism projects that are likely to have the biggest impact over the short- to medium-term, according to Zoran Solano from Hot Property Buyers Agency. He said the combination of the second runway, Queen’s and Howard Wharf, as well as the new Brisbane International Cruise Terminal, would dramatically increase the city’s exposure, which would flow on to its property market. “Brisbane and southeast Queensland in general is going to be a very different place in five years from now and I think it’s going to be a very positive change,” he said. “Tourism as an industry isn’t just what’s going to push Brisbane’s property prices but (more so) the awareness of Brisbane internationally. While Brisbane’s economy was a diverse one, he said, tourism infrastructure having an impact on the major employment hubs of the CBD as well as the airport and Trade Coast precinct were likely to be positives for the inner north’s property market. “The inner north, between the CBD and the airport, is going to be really strong in demand,” he said.